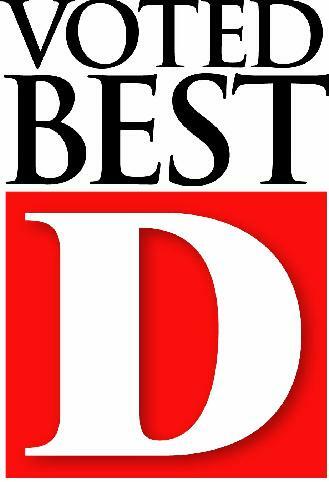 Members of the Clintsman Financial Planning team (including Bryan, Dan, Randall, and Kyle) have been selected by their peers to be included in D Magazine's “Best Financial Planners in Dallas” list every survey since 2004. This award is received by only 85 out of the 1,000+ CERTIFIED FINANCIAL PLANNERS™ in the Dallas-Fort Worth area. Their inclusion on this list is indicative of their technical expertise, community involvement, and respect within the financial planning profession, characteristics that extend throughout the entire team at Clintsman Financial Planning. PLEASE SEE IMPORTANT DISCLOSURE INFORMATION. Clintsman Financial Planning has been featured in Society Life Magazine's Who's Who in Business issue. The issue highlights businesses who put their clients first and have achieved professional success and received outstanding honors, awards and achievements, separating themselves from others in their respective fields. Bryan and Dan have been recognized in Texas Monthly as Five Star Professionals. The Five Star Professional is the largest and most widely published award program in North America, identifying service professionals who provide quality services to their clients. Bryan is a recipient of the FPA Honors Award. The Honors Award recognizes planners who have a lifelong commitment to the financial planning profession and to the DFW chapter of the Financial Planning Association. Mandy has also received the FPA Young Guns Award given to an up and coming planner with a commitment to the industry. Kyle was the 2017 Essential Advisor™ national Award winner for RIAs. The Essential Advisor™ Awards recognize financial advisors who embody the values detailed in The Essential Advisor: Building Value in the Investor-Advisor Relationship, an insightful handbook for advisors looking to navigate the changing face of financial services, co-authored by Envestnet President Bill Crager. Randall serves as a member of the Executive Board for the Gregg Pearson Foundation, an organization whose mission is to provide financial, spiritual, and emotional support to families and friends who are dealing with cancer and other acute illnesses. Clintsman Financial Planning is a proud sponsor of the Texas Tech University Personal Financial Planning program, considered by many to be the preeminent financial planning program in the nation. Kyle is a current member of the Personal Financial Planning Alumni Advisor Board while Dan has served in this capacity in the past. Please Note: Limitations: Neither rankings and/or recognition by unaffiliated rating services, publications, or other organizations, nor the achievement of any designation or certification, should be construed by a client or prospective client as a guarantee that he/she will experience a certain level of results if “Clintsman Financial Planning” is engaged, or continues to be engaged, to provide investment advisory services. Rankings published by magazines, and others, generally base their selections exclusively on information prepared and/or submitted by the recognized adviser. Rankings are generally limited to participating advisers (see link as to participation data). No ranking or recognition should be construed as a current or past endorsement of “Clintsman Financial Planning” by any of its clients. ANY QUESTIONS: “Clintsman Financial Planning’s” Chief Compliance Officer remains available to address any questions regarding rankings and/or recognitions, including providing the criteria used for any reflected ranking. Copyright © 2018, Clintsman Financial Planning. All rights reserved.